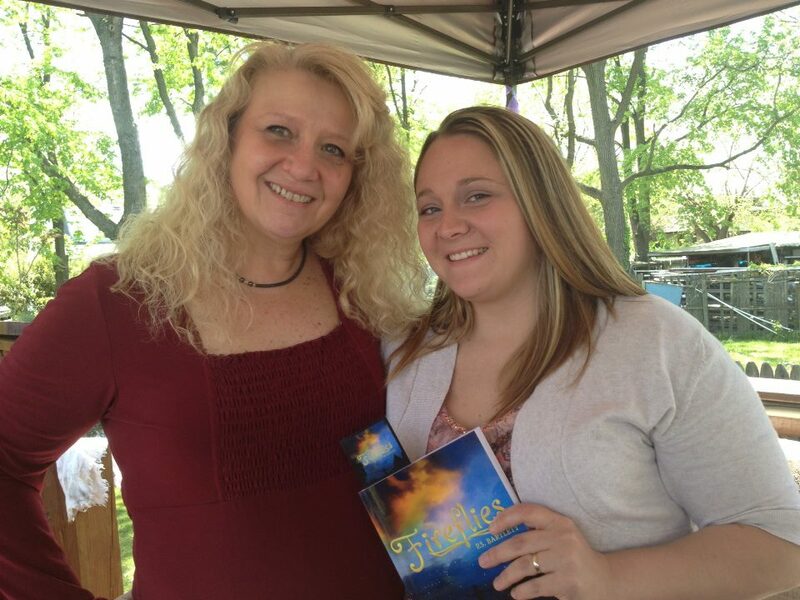 “FIREFLIES” Book Signing – Success! Saturday May 4, 2013 was such a beautiful day! The weather was warm but breezy, the cocktails were cool but warming and the company was nothing less than an assembly of positively charged human spirits who if smooshed all together could light up the whole city of Baltimore! These are my people. They are the beating hearts and luminescent souls, of what has made up my entire life and carried me to the here and now. Old friends and new acquaintances alike had come to celebrate with me and the result was that “Fireflies” brought friends together who hadn’t seen each other in years, connected new friends and brought out joyous memories of all of our good old days. Those memories danced about my back yard patio deck like bubbles on the air. As each bubble popped, a new memory would rise up and float about…and then the next and the next. How have I been so fortunate to know these people? What have I done to bring all of these blessings into my life? I sat alone Saturday night after the party and that question kept coming back to me over and over until it brought tears to my eyes. I’m not perfect. I’m certainly not an angel but somehow, some way, as I’ve traveled through this world, I’ve managed to meet, touch, somehow effect and above all develop an attachment to the best beating hearts and luminescent souls that any living, breathing human should ever be so blessed as to have in their life. Obviously, along this road there have been those who were repelled by my light and my refusal to smother it and as heartbreaking as it is for me to give up on anyone, that’s just what I’ve had to do. My mantra has become that it isn’t what you do or how kind you are, it is your motivation for the things you do that defines you. I have always had the uncanny ability to know what drives others and what their true motives are, maybe even before they do. Sometimes that is a gift. Sometimes it has been a curse…that turned out to be a gift. I am right where I am supposed to be, with those I am supposed to be with. When you are surrounded by the energy and love that I was surrounded by on Saturday, you can’t help but know you’ve learned how to make the right choices. You’ve grown to understand the importance of having that positive energy and that light in your world and you’ll guard it with your life. Oops! I lost track but yes! 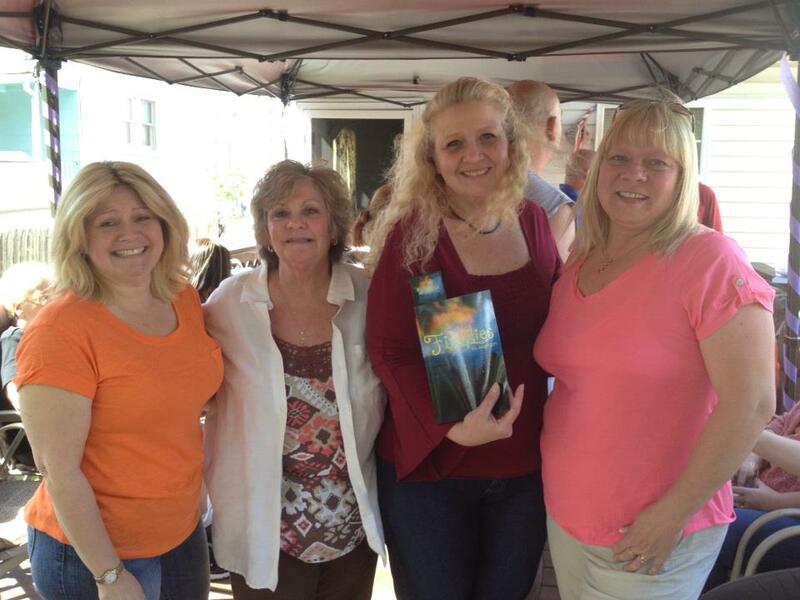 Yes, there was also a book signing Saturday and it was very successful in that I was so happy to see all of those beautiful faces and thank them in person for supporting me! Some people brought their own books and some purchased books as well as brought their own. Finally being able to talk about the book with readers and friends was the best! I love hearing feedback and how the story touched them, even if only in the smallest ways. I’ve started the second book about the story of the Whelan’s and their wonderful family. I can only dream that this next book will once again bring all of these beautiful souls back together for another Spring afternoon. By all means…bring lots and lots of bubbles!!! This entry was posted in life, Personal, Uncategorized, Writing and tagged author, baltimore, book, books, dreams, family, friends, goals, historical fiction, history, life, love, Maryland, novel, paranormal, reading, signing, spring, success, Writing by P.S. Bartlett. Bookmark the permalink. 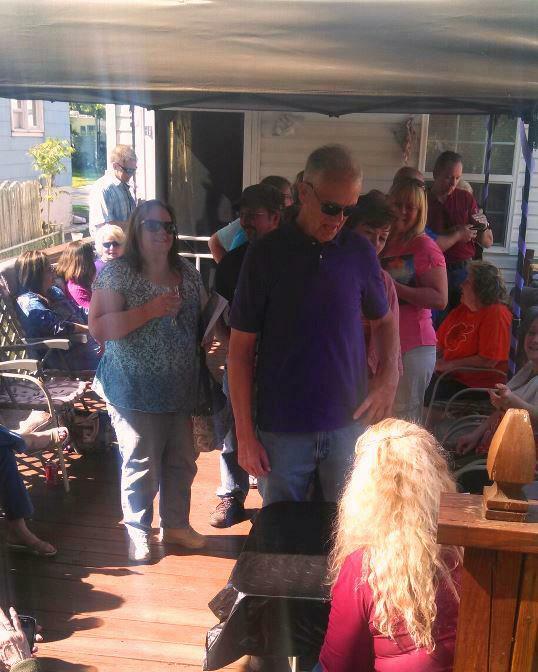 Wow…looks like it was an awesome turn out…so sorry we could not make it. We were celebrating our sons birthday this weekend. Maybe in the future there will be another signing.We are so happy for you and hope many will read your book..Best wishes always to a beautiful lady!!! You are such a talented woman. I very much enjoyed reading your book and becoming attached to each one of the charachters. I’m looking forward to more GREAT reads and exciting book signings!